The project was entirely developed in Flash (ActionScript) full of animations and transitions. Luz Criação. 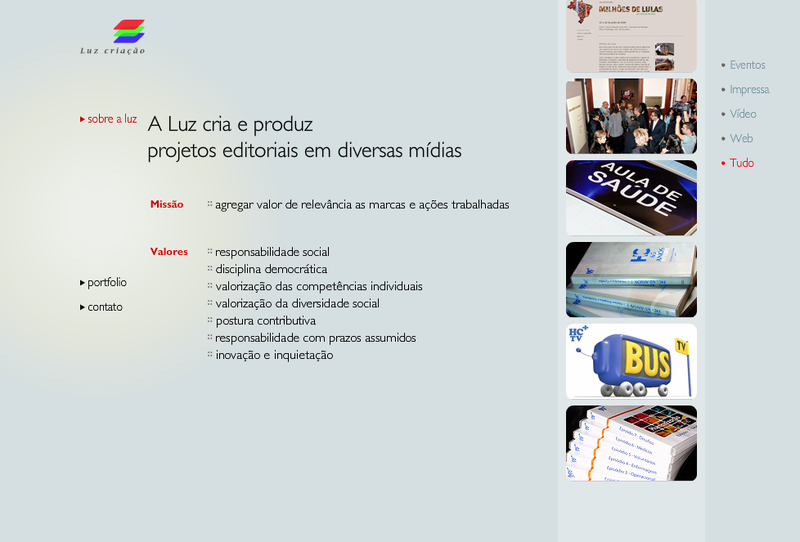 Site Desenvolvido em Flash.